Barnim is rich in nature – and so there is a wealth of renewable energy. For this reason there are a number of enterprises who have located themselves in the region. The energy sector is one of the commercial categories in the region who support the employment market. Politics, initiative schemes and local commerce have recognised how futuristically important the energy sector is. Also science and research dedicate themselves to this field. 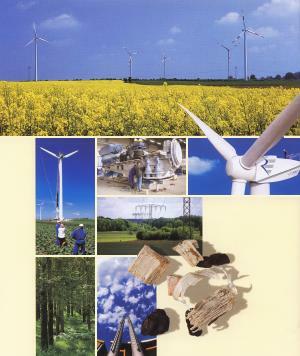 The technical colleges in Eberswalde study information regarding the employment of renewable energies. They research innovative solutions in which the proficiency of specialised forestry, land usage and nature conservation with wood processing technology and commerce come together. Bio-mass is a promising division of renewable energy that has developed the practices of combined energy resources. 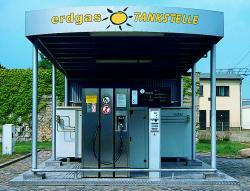 The Barnim is the chosen location for an increasing number of middle sized solar companies. The residential housing association in Eberswalde, the WHG is fervently involved in equipping its buildings with photovoltaic systems. For this reason the companies involved in the regional project have set up an alliance association. The energy that is produced by the regenerative systems is fed into the national electricity network. The regions business economy has attained great experience in the field of wind power. There are companies currently developing and building wind turbines as well as service companies and parts suppliers actively working together here and also exporting their products and skills to other regions. No less important is the use of hydro-power plants for the production of energy: Mini power stations that have been developed and built by local companies make use of the dammed stages of the Finow canal. The grants and support project for renewable energies has a target of supplying of at least 12.5% of total requirements by the year 2010 and increasing this to a minimum of 20% by 2020 and so helping to open up great new potentials for the future of the region. Energy saving and the introduction of renewable energies are major prerequisites for a solution to this problem that faces us now and in the future and its for this reason that the Barnim and Uckermark region have painstakingly considered and introduced the “barum 111” project. At the core of the initiative is the scheme that in future the region will not only be an energy consumer but also increasingly an energy producer, intelligently developing an industry for harnessing various forms of renewable energy. With the support offered by the project and in cooperation with the enterprises, farming, forestry, tradesmen, industry and service companies there are high hopes for an increased commitment towards renewable energies that will further the active development of future technologies in and around the region.